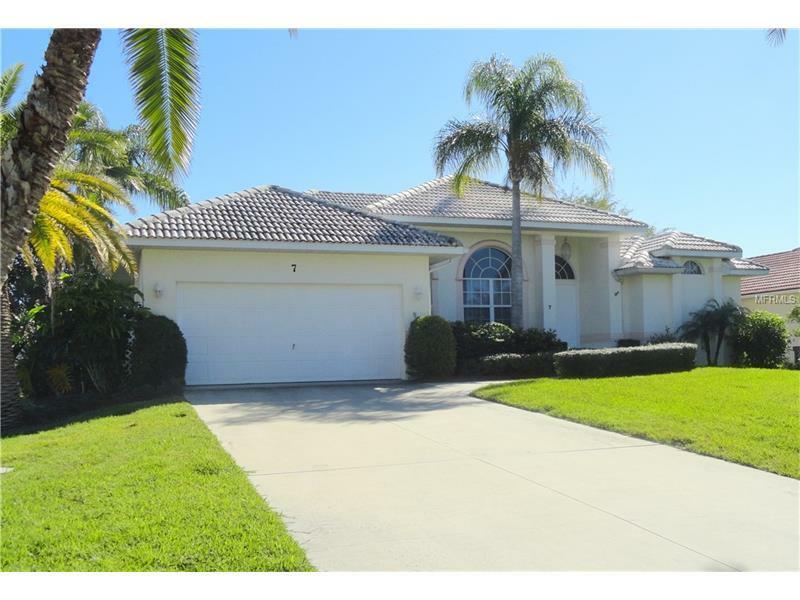 Take a look at this lovely 3/2/2 pool home. The clean home feels warm and welcoming. The great room floor plan is spacious and roomy with large sliders and transom windows across the back of the living area which gives you a beautiful view of the lanai and pool area. The pool has solar heat and sparkles in the wonderful Florida sunshine. The kitchen is charming and functional with a BRAND NEW refrigerator and dishwasher. Prepare many meals here for family and guests. There is a formal dining room as well as a breakfast nook. The master is very spacious and comfortable. The guest bedrooms are roomy and in fact, one guest bedroom is currently being used as a family room. This is a must see.